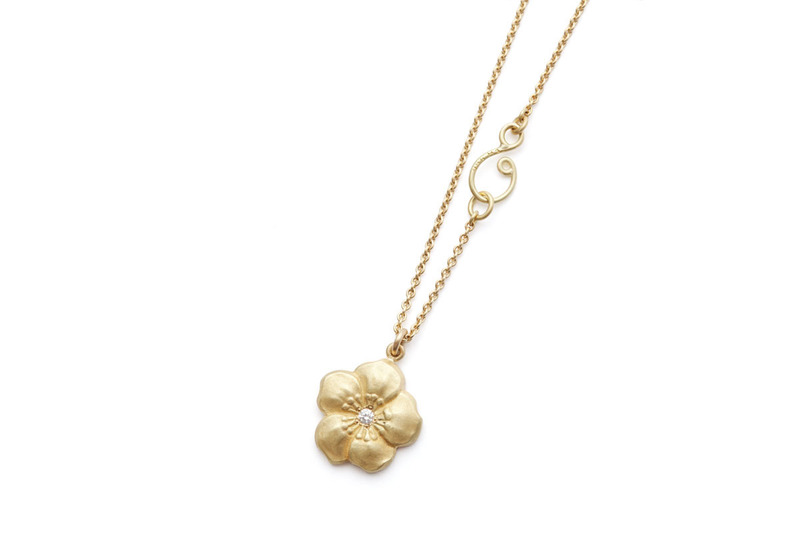 This delightful necklace carries one of the most loyal flowers of my late summer garden, the Japanese anemone. 18ct Yellow Gold with 0,03ct Brilliant Cut Diamond. Flower 9,5mm. Chain 80cm.